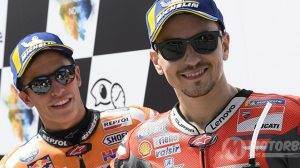 The most important News about the MotoGP Championship. There are three different classes within the MotoGP World Championship. The first of them is Moto3, in which the youngest riders are concentrated, and who have more talent to emerge with the passing of the years. These riders reach the small class with very young ages, some of them with 15 and 16 years old. 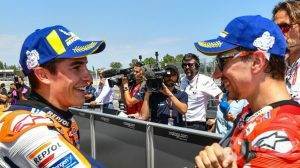 In the Moto2 class, we find riders who have played a great role in Moto3 and make the jump to the intermediate category, crucial to get the necessary experience to be able to be competitive in MotoGP. 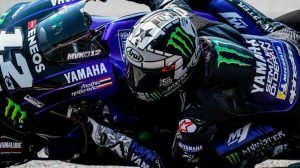 Finally, Moto GP, also called the premier class, is the highest class of world motorcycling, hosting the best riders in the world. They run in a total of 19 circuits in MotoGP in one season. These circuits are housed throughout the world. 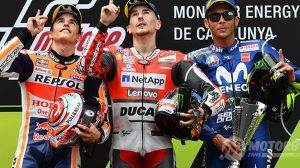 However, Spain is the country where most MotoGP Grand Prix is held, with a total of 4 races (Jerez GP, Catalunya GP, Aragon GP, and Valencia GP). The MotoGP calendar starts in March, with their first date at the Losail circuit in Qatar (which runs at night). 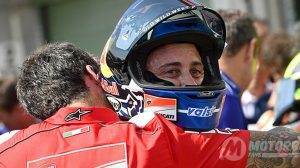 Afterward, the total duration of the championship is 9 months, ending his last Grand Prix in the month of November at the Ricardo Tormo circuit in Valencia. Giacomo Agostini is the maximum leader in MotoGP titles with a total of 8 championships in the premier class of motorcycling. He is followed by Valentino Rossi, with 7 titles in this class, and Michael Doohan, with 5. 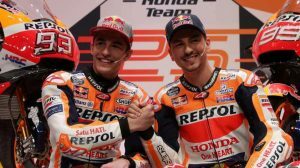 There are three Spaniards who have achieved titles in MotoGP. 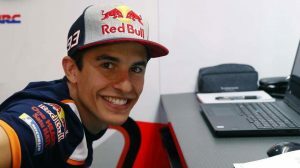 Marc Márquez has won 4 world titles in the premier class and Jorge Lorenzo has won a total of 3 MotoGP titles, while Álex Crivillé won a world championship. 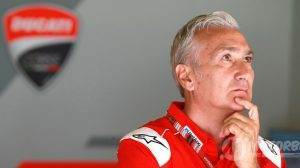 However, in the global calculation of championships, regardless of the category where they ran, the pilots who have achieved more world have been Giacomo Agostini (with a total of 15 championships), Angel Nieto (with 13 worlds) and Valentino Rossi and Mike Hailwood with 9 each. 1905 is the date of the first world motorcycle, with Alessandro Anzani the champion of this first edition. The first MotoGP World Championship is not dated until 1949, organized by the FIM (International Motorcycling Federation). The economic potential from this year has been remarkable, helping the championship to grow up as it is known today as the world's most important motorcycle world. For its part, the commercial rights of the MotoGP World Championship belong to Dorna Sports. The country with the most titles in the premier class is Italy, with a total of 20 MotoGP world titles. It is closely followed by Great Britain, with a total of 17 and the United States, with 15. Spain is in 5th place, with a total of 8 MotoGP world titles, achieved by Álex Crivillé (1), Marc Márquez ( 4) and Jorge Lorenzo (3).